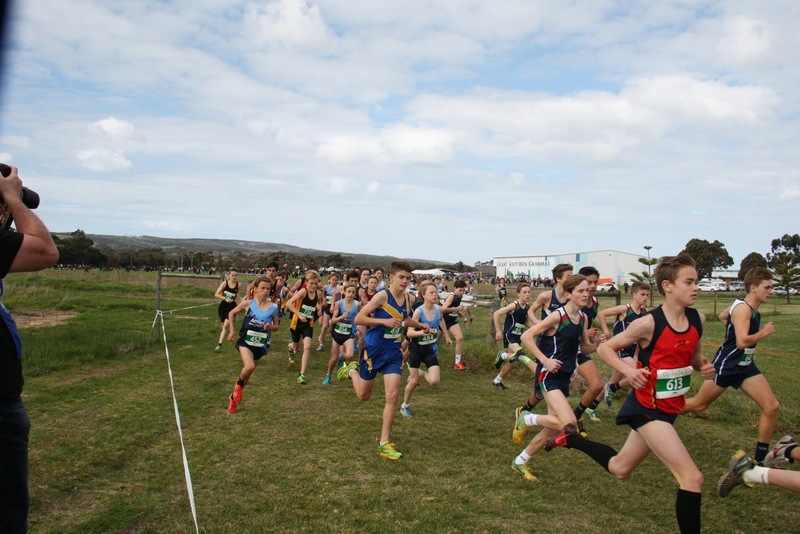 National Cross Country at Albany, outside Perth. Aug. 23rd. We set off on Thursday afternoon in a race against traffic to the airport. After a 5 hour flight to Perth, a night there and a 5 hour drive we arrived at Albany pretty tired on Friday to walk the course. I ran into many of my friends who had arrived a few days earlier than me they were a little more rested. . After a good nights rest we were fired up and ready to race. 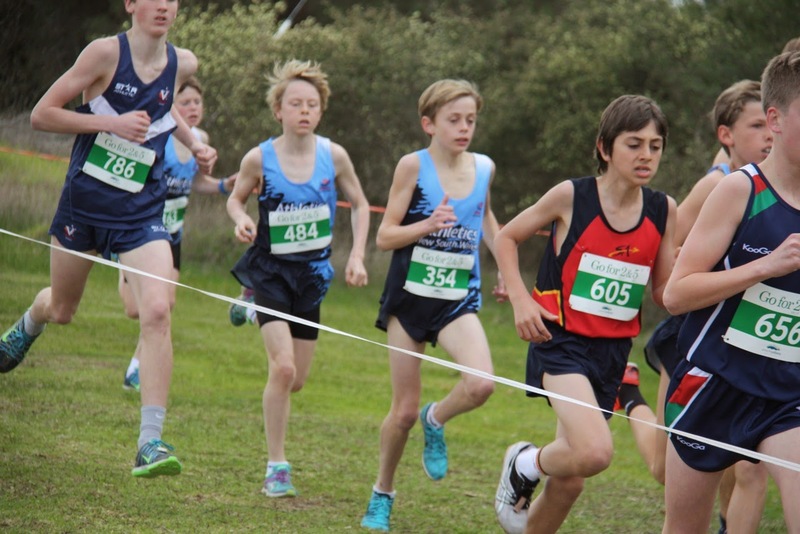 I set off on the U14 boys 3km event. The course was completely flat and funnelled the whole way. 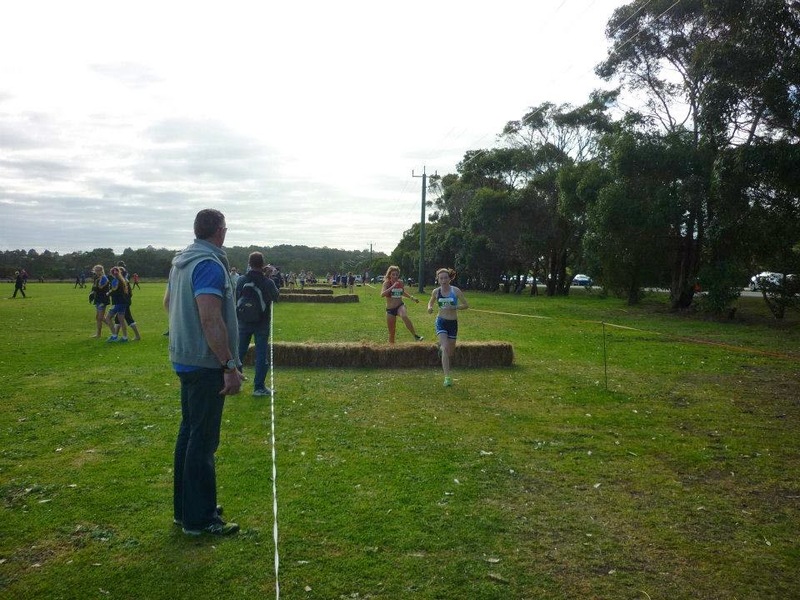 With the addition of some mud and bales of hay, this was to be the course of the national cross-country 2014. I started off with a strong start. As the course was funnelled this made it hard to overtake but this didn't stop me. 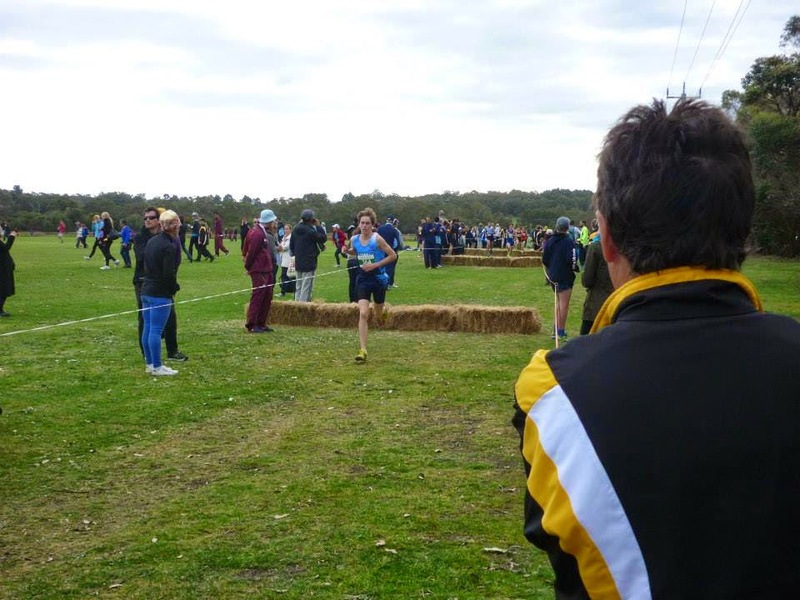 I ran strongly the whole race - the headwind for a km was tough - and finished in a pleasing 32nd place and in 6th from NSW. 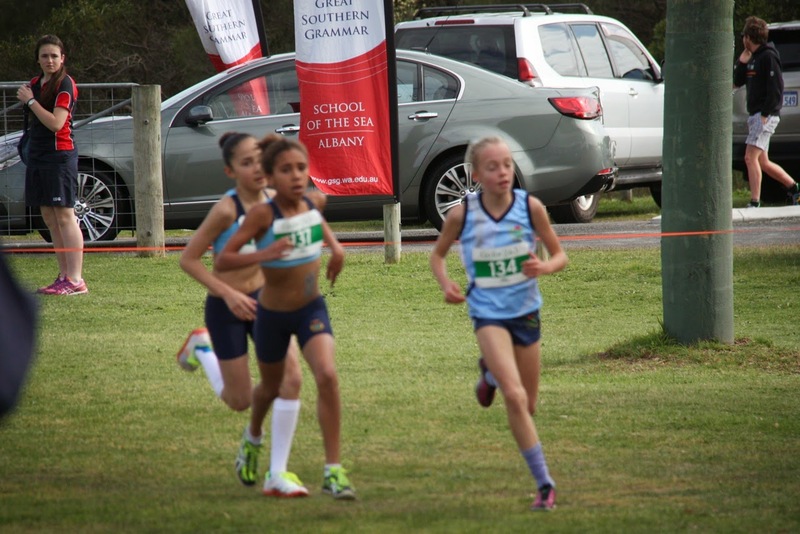 Congratulationsare certainly in order to Nicola Hogg for her third place in the 11 year old girls' race Nicola and fellow Strider Maeve Goehner in 9th place were part of the gold medal winning NSW School's team. 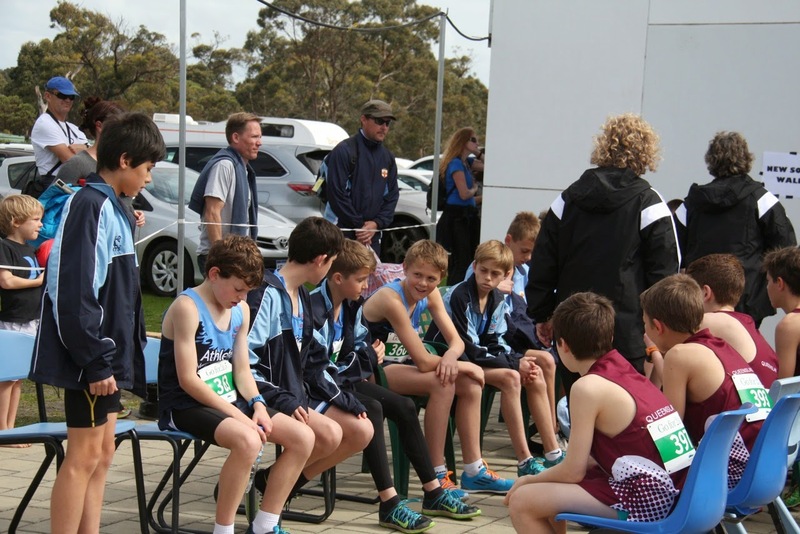 The handicaps were great fun this 'end of winter', and it was good to see so much improvement. 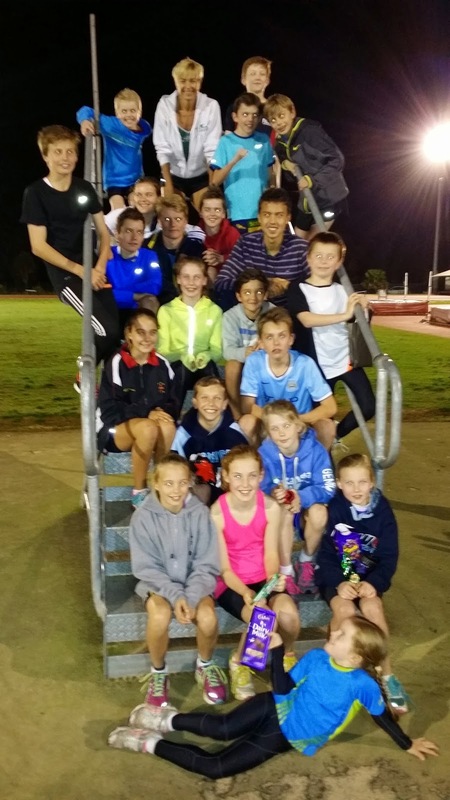 The merry band of red eyed zombies - that's what running a mile so fast can do to you! 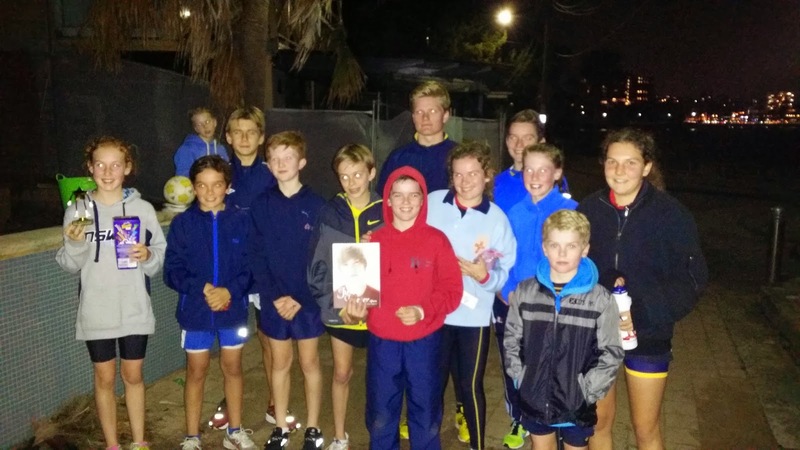 13 ran in our end of winter 5k handicap (more like mid-winter). 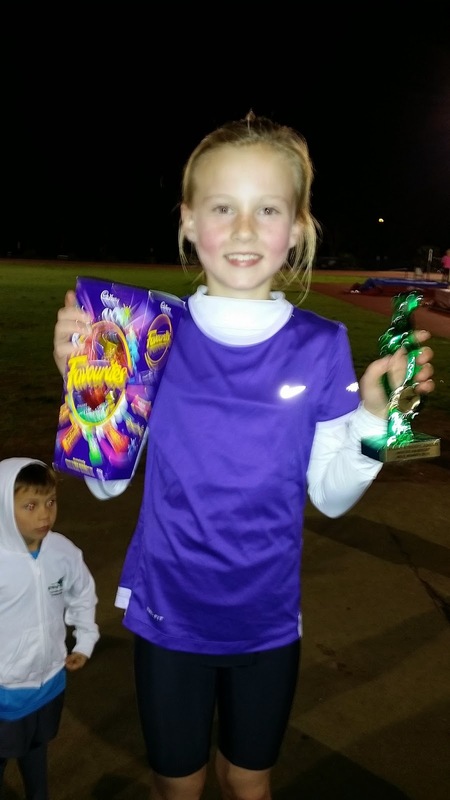 The Gocher family enjoyed further success with Emily Gocher crossing the line first in a fantastic time of 20.20. 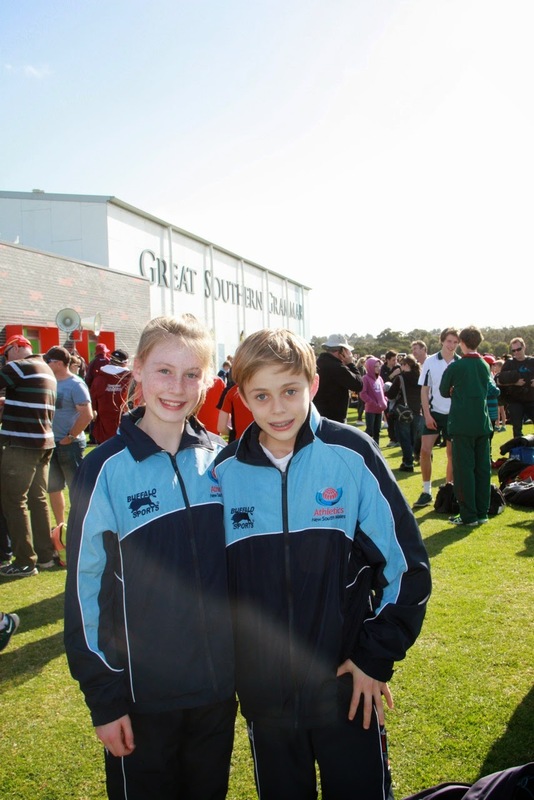 Luke Gorman was the fastest boy in 17.47 while Sophie Gocher was fastest girl in 19.19. 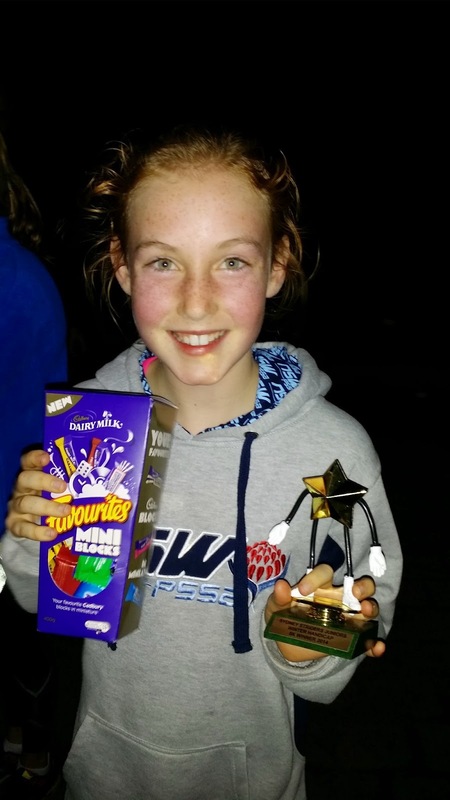 Amelia Gorman was happiest Strider in the 5K - paced for a bit by Jack Coates's dad to get a PB and to win a necklace and bath stuff.